A Birmingham Weekend Full of Music! It’s the launch of Sounds of Summer, the first Art on the Rocks of 2018, and the Symphony plays in Railroad Park! Don’t miss out on any of these great musical events this weekend in Birmingham! Check out our full weekend event list below! Join the Art Crawl every first Thursday in downtown Birmingham! Don't miss the June 7 edition with featured artists Savannah Smith & Kristen Berry, People's Choice Artist Kustom Jeff, local artists, art activities, and more! Stroll the streets of BHM and discover the amazing talent of 50+ local artists and artisans exhibiting and selling works outside of The Pizitz from 5-9pm, rain or shine! SPECIAL GUESTS: Bards & Brews! 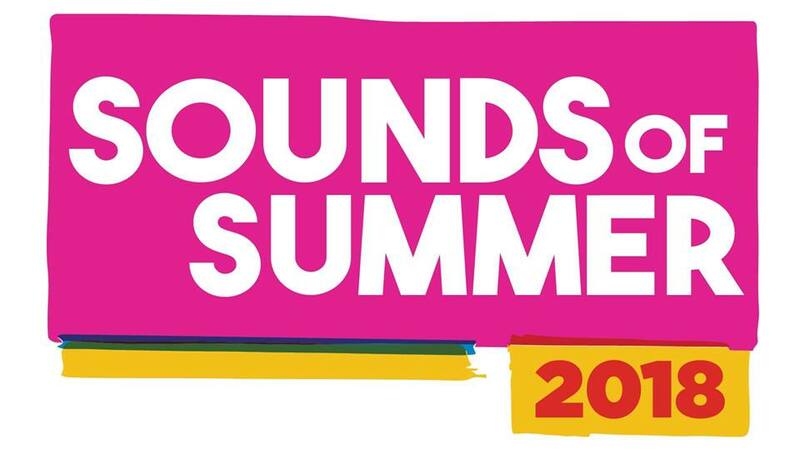 Join The Summit in Saks Plaza, every Thursday night in June for the third season of Sounds of Summer! Bring your lawn chairs, blankets, and a picnic dinner (or put in a to-go order with Cowfish!). In addition to live music, enjoy snacks + beverages from Taco Mama, sweet treats from Nothing Bundt Cakes, balloon art for the little music lovers, complimentary henna tattoos, and try out your hoola skills with a hoola-hoop dancer! Magic City Con is a three-day Sci-Fi, Pop Culture, Gaming, and Cosplay event held yearly at The Hyatt Regency Birmingham - Wynfrey Hotel in Birmingham, Alabama. Don’t miss out on amazing artists, fun vendors, games, activities, cosplay contest, and more! Weekend and Single Day Passes are available! This is a great event for both kids and adults! It’s back! We once described Art on the Rocks as a “Tony Stark House Party” in the museum! Come hear The Suffers as they play on the patio as you enjoy food and drinks. This is a swanky “Who’s Who?” of Birmingham, so don’t miss out! We are giving away two tickets AND will be making a BIG announcement LIVE at the event! The ASO is returning to Railroad Park to play three FREE concerts June 8-10 thanks to Regions Bank! Friday & Saturday night will feature classical favorites, and on Sunday enjoy Family Fun Day with a family-friendly pops concert beginning at 6 p.m. So, grab some friends, a blanket, and a picnic, and join us for a fabulous weekend of music! Clean and Clear is Five Points South's beautification and cleanup event that happens three times a year. From trash collection to graffiti removal and greenery efforts, this is your day to give back in your downtown. Clean and Clear is a Five Points Alliance program and only made possible through our sponsors and partners and the City of Birmingham. This Clean and Clear will focus on Brother Bryan Park! We LOVE Woodlawn Street Market! Head over and see some great local vendors and eat some delicious food! You may even see a dance off! This market only happens a few times a year, so don’t miss out! It’s still a hidden gem of an event! Bring your kids, bring your pets, and prepare to have a great time! Caribbean Day in Linn Park is a joyous, family friendly celebration of Caribbean American Heritage Month. Visitors can enjoy Caribbean music, face painting, dancing, food and an authentic Caribbean parade. Come eat your fill of jerk chicken, dance in the street and have a fabulous day. And best of all it's family friendly so bring the family. Come enjoy this colorful festival! Come see students from the Birmingham Fencing Club battle it out in a single-elimination tournament leading up to final at 4:30PM. From Star Wars to the Princess Bride to the Summer Olympics, you may have seen fencing, but not like this in person! The Food Truck, Chubbfathers, will be on-site serving up burgers, cheesesteaks, and more! This family-and-fido-friendly event is open to the public and free of charge. Please support Cahaba Brewing by trying their seasonal flavors and a wide selection of hand-crafted brews made on-site. Visit Ghost Train Brewing this Saturday for the S(hop) LocAL: Makers & Music Expo. Your $10 entry fee gets you a chance at winning 2 GA Sloss Fest tickets, a gift basket from Ghost Train, or a gift basket from Elements BHM. Featured musicians include Holy Youth, Will Stewart, and The Old Paints. See you there! Join Gary Bostany on a hike at Ruffner Mountain while learning the history and its early beginnings. View some of the mining relics, iron-ore crushers and discover their purpose. Learn about the extended railroad system “the old mineral railroad” that serviced Ruffner and the rest of Red Mountain. Ruffner Mountain was once home to the Sloss-Sheffield Mines where iron-ore and limestone were extracted and sent to the blast furnaces at Sloss. Discover Ruffner’s role in the mining heyday of Birmingham while exploring these sites and artifacts up close. The hike is approximately 3 miles total, usually about 3 hours, with moderate inclines and slopes. The hike will take you to the iron ore crusher #3, and the Quarry. "Dates for a Difference" is going to be a charity event like no other! Birmingham's Most Eligible Bachelors and Bachelorettes will be up for auction, along with some amazing date packages, all benefiting the Leukemia & Lymphoma Society and the Man & Woman of the Year Campaign!! Come hungry, thirsty, and ready to dance! From 5-8 PM DJ LeeJ will be keeping your ear holes full while the I Love Bacon Truck will be keeping your tummy full. There is no entry fee for this event so you can save up all your cash to bid on Birmingham's Finest! The auction will begin at 7 pm and there will be some amazing date packages to bid on such as SLOSSFEST PASSES, TopGolf Membership Cards, Birmingham Baron's Tickets, Massage Packages, and MUCH MORE!